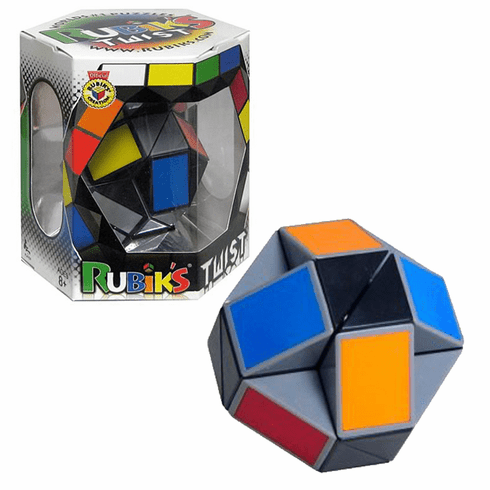 Rubik's transformable Twist is the twistable challenge of unlimited puzzle shapes! Start twisting and watch amazing figures take form. Turn a snake into a swan... a bat into a ball... a turtle into a terrier, all with just a few twists of your imagination. Solution and hints booklet included.